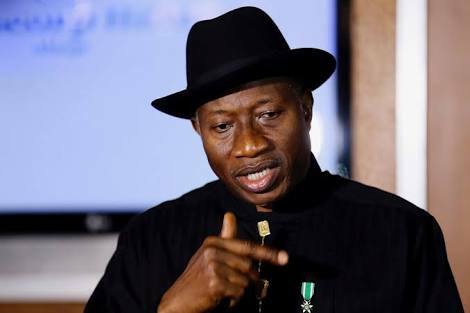 Former President Goodluck Jonathan has challenged Vice President Yemi Osinbajo not to keep silent about the proven and established cases of corruption that occurred under the administration of President Muhammadu Buhari. Jonathan noted that if the Buhari administration were fighting corruption, it would not have registered Nigeria’s worst ever performance in the Corruption Perception Index where Nigeria moved backward from 136 in 2014 to 148 in 2017. This was contained in a statement the GEJ Media Office issued yesterday in reaction to the vice president’s comment that the Buhari administration would not stop talking about the massive corruption in the Jonathan government. However, in a statement by his media office yesterday, Jonathan faulted Osinbajo’s statement, noting that there “is no former First Lady from the Jonathan administration that has claimed $171 million in a bank account. Upon a promise of a suit for libel, I challenge Vice President Yemi Osinbajo to name that person. He also sought to know why the vice president “did not talk about the Maina scandal. Abdurasheed Maina was allegedly the biggest thief ever in Nigeria’s civil service. The PDP government dismissed him. But the Buhari administration recalled; reinstated into the civil service and given double promotion. He therefore, lamented that the Buhari administration had taken Nigeria backward in the global corruption perception index, noting that the country had recorded its best ever performance in 2014 when it moved from 142 in 2013 to 136 in 2014. He said only in an upside-down world “does a government who took Nigeria backward on the corruption scale accuse an administration that took Nigeria forward.